A slew of great runners raced for UTSA outdoor track last weekend. The Roadrunners competed in the 92nd annual Clyde Littlefield Texas Relays, hosted by the University of Texas at Austin at the Mike A. Myers Stadium. Four hurdlers were the only entries for the ‘Runners on Friday, March 29. With a low of 56F that day, the team had to work against the wind chill while competing in their respective events. The ‘Runners kicked off the weekend with two competitors in the preliminary rounds of the women’s 400-meter hurdles. 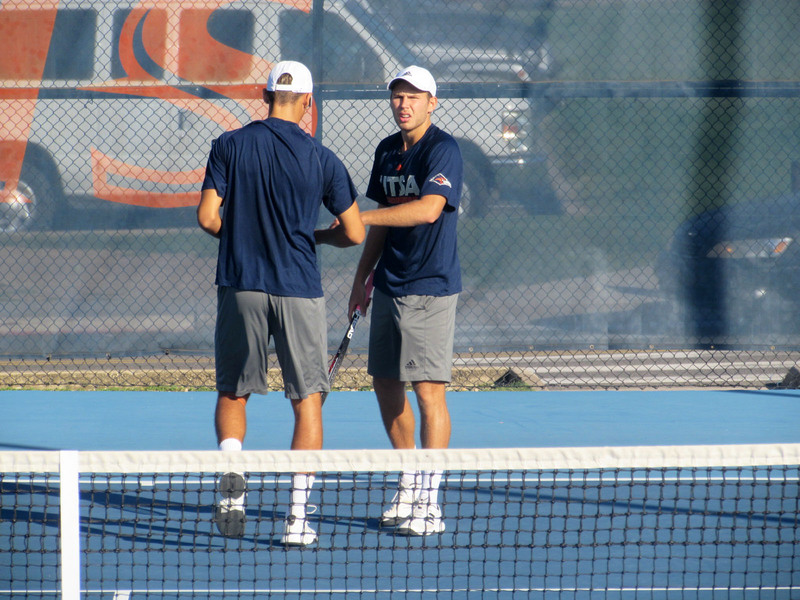 Orla Brothers, who won the same event at the Roadrunner Invitational last week, was the first to compete for the ‘Runners and placed 14th in the 82-person field. Brothers crossed fifth in her heat with a time of one minute and 1.02 seconds, which placed her just shy of one of the nine qualifying spots for the final. Sierra Andres competed in the women’s 400-meter hurdles with a time of 1:07.03, and earned her 72nd place in the field. Justin Gerbrecht and Andrew Pirog took on the men’s 400-meter hurdles. Gerbrecht placed first in his heat clocking 54.06; his best time of the season. Gerbrecht’s time placed him 29th out of the 80 competitors in his event. Among those 80 was Pirog, who, with his time of 54.70, placed third in his heat and 35th in the entire event. The ‘Runners leaped into Friday’s events with the men’s and women’s triple jump, followed by men’s high jump and concluded with the men’s distance medley relay. The next day, the ‘Runners continued to dominate with four more entries. Friday’s action was headlined by Danielle Spence and Andre Douglas, as both posted top-10 finishes. Spence placed ninth among collegiate competitors and 10th overall with a mark of 13.01 meters on her first attempt. Spence set a school record in the same event last week at the Roadrunner Invitational with a mark of 13.66 meters. Douglas finished sixth among collegiate competitors and seventh overall in his section of the men’s triple jump. On his first attempt, Douglas reached a mark of 15.09 meters, three-quarters of an inch away from a tie for fifth place. Devante Edwards was a key athlete in Friday’s events. On his second high jump attempt, the Texas native achieved his outdoor season-best with a height of 2.04 meters. The height put him above Jake Lamberth from Texas A&M University, and one miss between him and seventh place. The day ended with the ‘Runners competing in the men’s distance medley relay. The team consisted of Luca Chatham, Zack Kovar and Monty Bertschy. The team finished with a time of 10:22.98, earning them in 15th place overall. Saturday concluded the Clyde Littlefield Texas Relays and the ‘Runners competed with only one entry. The same team of distance runners, Chatham, Cameron Hudson, Kovar and Bertschy, raced again with each other in the men’s 4×800-meter relay. The group finished strong with a time of 7:44.67, earning them sixth place. Chatham’s split was a highlight in the race clocking 1:52.09 on the second leg. He was followed by Kovar, who began the race with a time of 1:55.66. 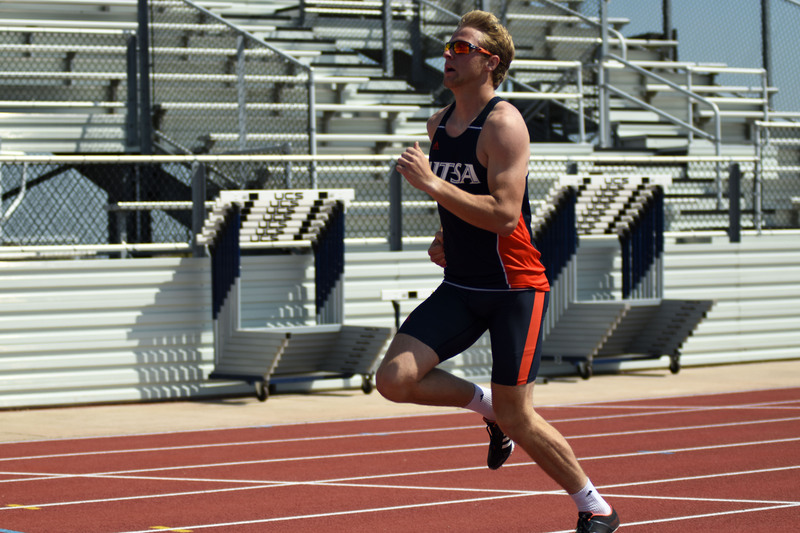 The UTSA track team continued a lively season this week. 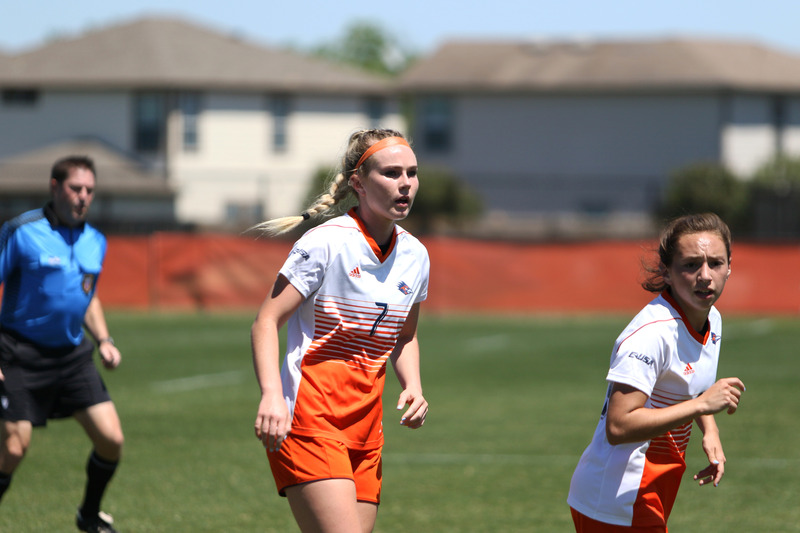 The ‘Runners will be in action from April 5 to 6, in Nacogdoches, Texas, at the Carl Knight Invitational.